Supplying evidence for Continuing Healthcare assessments – what’s needed? Care to be Different > Articles > NHS Continuing Healthcare > Supplying evidence for Continuing Healthcare assessments – what’s needed? NHS Continuing Healthcare Independent Review Panel – how independent is this really? Supplying evidence for Continuing Healthcare assessments can feel daunting. You may be pursuing NHS Continuing Care funding for a relative, and yet you’re not sure what information should be taken into account. In a nutshell, evidence for Continuing Healthcare assessments should be everything that demonstrates the full extent of your relative’s health needs, daily care needs and the extent to which they are at risk. As part of this, it’s vital that proper risk assessments have been carried out and reviewed. It’s also vital that routine charts have been maintained and included, particularly those directly related to the various ‘care domains’ that are assessed in Continuing Healthcare. This additional evidence will support the assessment scores that your relative is given. It can change the outcome. As a family representative, it’s not your responsibility to pull all this information together. However, it’s a good idea to check that assessors have done this – as evidence often gets overlooked – and you may need to pull together some of it yourself. …and input from any other relevant medics, nurses and other clinicians. The evidence that is appropriate for your relative will depend on their individual health needs. It’s important that all of it is taken into account in any assessment for Continuing Healthcare. The above is not an exhaustive list, but if you’re going through the Continuing Healthcare assessment process, make sure that all relevant evidence for Continuing Healthcare assessments is taken into account. We frequently hear of assessments carried out with much of this information missing, so be vigilant. Check what the assessors have actually taken into account. We got our nursing home, G.P. and Consultant notes before we requested a review. On the Decision Support Tool (DST) they mention 5 accidents using the hoist ( only 2 accident reports done ) and we don’t know when and what happened in the other accidents. The 2 accidents are a month apart when our mum’s fragile skin was caught on the bath chair and wouldn’t stop bleeding so the home had to call the paramedics. A note was made not to use the hoist again as it was too distressing but this was ignored. Eventually our mum refused the hoist and had bed baths only and was stretchered for hospital appointments. By the way we have more evidence as they failed to get G.P. and hosp notes, unbelieveable!!! – as it was crucial to show the health need. They relied on an odd comment here and there by carers. We have a resolution panel soon and shall come with a suitcase of notes. I doubt we will see any of their notes which other than the clinical ones they didn’t get be the same as ours. Judy – that sounds very distressing for your mum. Wishing you well with the dispute resolution meeting. Hello – Can anyone tell me that how old does the evidence have to be for NHS Continuing Healthcare (CHC)? We have so much evidence but they will only consider the past 3 months? It doesn’t state anywhere on the CHC guidelines about the age of eveidence? When the CCG has given their decision on retrospective funding . In our case the muse assessor screened 2 1/2 years as a recommendation to the panel. Only 7 months was agreed for Continuing Healthcare funding. We are shocked at this decision and are now deciding whether to appeal . We have 28 days. I have asked for all the paperwork put in front of the panel which includes notes from the care home , and GP notes for the relevant years. I have been advised by the CCG that I cannot view the care home notes or the GP notes. I have been advised that I have to apply to the relevant authority for such notes and may incur a charge. The time scale is short for decision on this. 28 days . Surely The family should be able to see why the panel bases their decision on. They have overturned the nurse assessor – a reiew without Reason. Can I ask legally to see all of the evidence put before the panel or are they correct? Absolutely right – you should be able to see the evidence they have used, and if you have been the one acting on behalf of your relative then there should be no argument about this. The CCG should also provide you with a written and reasoned rationale for their decision. On account of the CCG’s obstruction, ask for an extension to the time they’ve given you; 28 days is far too short. That’s as I thought. Many thanks Angela. Thank you so much for your advice, we were suprised to receive a call to say CHC has been agreed for 3 months then review. 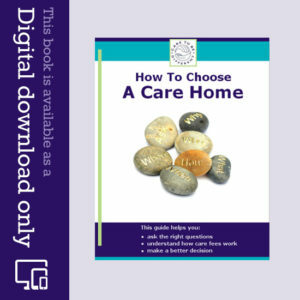 They have offered 3 waking nights and 4 care calls with two carers a day,. We have asked if this could be changed to one waking night per week plus the 4 calls and one 8 hour day per week. They have advised that they cannot do this as more than 3 calls a day would indicate the need for nursing home care and they have already extended the calls to x4 a day and therefore one additional 8 hour day a wee k Dad would more likely be suitable for nursing home care rather than care at home (despite us suggesting less waking night support). We are of course delighted that CHC funding has been agreed, just need to make sure we get the support we need. Thank you once again Angela for your expert advice. CHC is not dependent on where the care is provided and, as long at it’s safe for your dad to be at home, there is no reason why CHC can’t cover nursing care at home. Read pages 70-76 of the National Framework for more on this. My mother has been in a nursing home for eight years and I am currently going through the process yet again of getting her assessed for CHC. The assessor came alone and said it was quite common that a social worker was not present at the assessment. This seems to me to be a flagrant disregard of procedure. If I am arguing that my mother’s care is beyond the limits of what social services can or should provide, then surely a social worker has to agree or disagree on whether mum’s care could be provided by them. The assessor has also just informed me that she is waiting for a GP report. My mum is visited by any number of doctors from a large surgery, so none of them really know her. I have Power of Attorney for Health and Welfare and for her finances. Am I entitled to see a copy of the GP report before submission? I am concerned that it may undermine my case. Thanks Angela, I’ve challenged the numerous inconsistencies and will also register a procedural complaint against the CCG. If any new information arises in the process I’ll share it with you. Sid. I see you say that a Welfare POA is not necessary as CHC is concerned with funding. However the Framework, page 19, section 50 states that a Welfare POA is necessary if consent cannot be given to carry out the Checklist. I’m interested to know if you know of any case law that establishes a precedent for a Welfare POA not being necessary. I’d also be interested to know, given the context of a ‘best interests’ decision being taken how a CCG would establish the individual’s ‘previously expressed views’ regards funding. In my dad’s case (he has advanced Lewy Body) he has used the NHS since it was created, so I feel it would be fair to argue that a best interest decision would find most people would consider it best that the NHS pay for their care on the basis that historically they have received NHS funded care. Being that the MDT was formed and a DST carried out, presumably without the CCG first establishing consent or best interest or any other mental capacity provision, I’m of the opinion our local CCG have acted outside of directives by allowing the MDT to form in the first place. But being that the CCG put the evidence of medically untrained care staff who tend to my dad for 1.5 hours per day above both a consultant’s diagnosis and family diaries of the remaining 22.5 hours care per day, it’s not my key concern! Thank you for the information regarding care homes receiving less from NHS Funded residents. We are in the same position as Christine – our mother has Alzheimer’s and cannot do anything at all for herself, yet we constantly see “can choose own clothes” or “make sure she has nurse call beside her”. She hasn’t been able to choose her clothes or use the nurse call for more than six years. We will be challenging these comments from now on! I have been reading your comments about gathering evidence for CHC assessments. My mother has been in a nursing home for 18 months and I have been battling to get continuing healthcare which has been refused twice. The problem that I am having is that the nursing home is quite obstructive, they play down her needs and refuse me access to her notes and records. I do not have power of attorney over health and well being, only over property and finance. Any suggestions would be appreciated. Thanks for your comment, Christine. You only need a financial power of attorney for Continuing Healthcare matters. You don’t need a health/welfare one. Just about everyone I know who goes through this battle does it with a financial power. The NHS may try to tell you otherwise, but it’s not the case. This may help: http://caretobedifferent.co.uk/enduring-powers-of-attorney-and-nhs-continuing-care/ It is, of course, a good idea to have both powers as a general rule (to cover everything), but for Continuing Care you only need a financial one. There is a huge conflict of interest when it comes to care homes and Continuing Healthcare, as care homes get paid less from the NHS that they do from ‘self-funders’. I hear of many cases where the care home tries to play down needs and effectively sabotage the assessment, so that the person in care will have to continue paying for themselves. It is all so wrong. Thank you so much for your response Angela, I think you are right the care home do appear to be trying to sabotage the assessment and they never seem to be honest about my mothers high level of needs. I have tried to argue that CHC funding is a financial issue and that by not allowing me access to the notes etc.that they are withholding evidence however, I still do not seem to be able to persuade them. The whole system is wrong we should not have to fight like this, it’s hard enough having a parent suffering without all this added stress. My mum was deemed to be eligible for CHC by the multi disciplinary team. CCG wrote to us saying the complete opposite and included fabricated evidence. Had a meeting with them three weeks ago – heard nothing from them since. Illegal practice here would be an understatement. Interesting discussions above. My Hubby is a high level spinal cord injury and luckily we were able to draw on a case that was won by a similar patient as to why someone with his type of condition has substantial medical needs. There are several things that really bug me about CHC even when you are lucky to get it. You prove an on going medical need and then get supplied totally incompetent minimum wage care workers. The NHS purse string holder has or seems to have no welfare remit and abdicates it all to the care agency. No one seems to give a sh*t if you agency can not fulfil the care contract in a safe manner. I have been left many months at a time since 2009 imprisoned at home providing 24/7 care with very little sleep. rest etc as my hubby can not be left on his own. So getting funding is one thing actually getting decent care is another. Thanks for your comment Debbie. If your mum needs full time care and she has health needs, then she should be assessed for NHS Continuing Healthcare. She may have been charged for healthcare if this wasn’t/hasn’t been done. Ask for a Checklist assessment before she is discharged from hospital. If she is placed in a rehab unit, she shouldn’t ordinarily be charged for that. 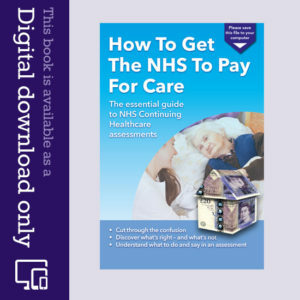 You may find this page helpful in terms of getting assessed: http://caretobedifferent.co.uk/paying-care-home-fees/how-to-get-assessed-for-continuing-care/. Hi there, I am looking for some help around ‘short term care’. My mum is 92 yrs old and has been placed into respite care twice in the last 5 months by her social worker because she was so poorly. However, I now discover that this was done via a Social Care Assessment not a Health Care Assessment and subsequently we have had to pay almost £3,000 in fees. My mother has no savings and lives in sheltered accommodation. She is in receipt of benefits. My mum is currently in hospital once again suffering from pneumonia and the hospital have said that they are going to transfer her to a rehabilitation unit. I have been contacted this evening by her social worker telling me that she is coming to the hospital in the morning to carry out another Social Care Assessment. I challenged this immediately with the social worker and stated that this is not a social need but is a health need. She hesitated but then told me that she absolutely agreed with me that it is indeed a health need. Can anyone give me advice on whether my mother has been made to pay for healthcare because it has been wrongly assessed as social care. On the previous two occasions in respite she was unable to walk, stand or dress and the only other option would have been to put her in hospital. I am quite worried at the moment about the future, but I know I should be happy that my husband is receiving NHS CHC. He spent three months in hospital, some of it in intensive care following a serious brain haemorrhage. He already had a diagnosis of vascular dementia and suffers from epilepsy. He has been in a nursing home for just over three weeks and is doing quite well according to the care home manager. Today she told me that she has been sending regular reports to the commissioners and I asked her if this is to do with funding and does she think we might lose the funding. She said that they always reassess after three months and its almost inevitable that he will lose the funding. I was a bit shell shocked and she changed the subject anyway. Can anyone throw any light on this please? We’re hearing increasing accounts of CHC funding being routinely (but wrongly) removed by CHC assessors who only have eyes for their budgets. It’s a sickening trend. If they try this, definitely appeal. Some families also withhold payment of care fees in the meantime. This can be a tricky thing though, as each situation is different. Be aware that any local protocol doesn’t necessarily take precedence over the national guidelines. For example, a CCG in the south of England routinely states that the National Framework ‘doesn’t apply’ in their case, and that they have ‘opted out’ of it and that they use their own policy instead. Needless to say this is flawed. One of our clients took them to task on this last year, and she eventually succeeded in getting the CCG to follow the National Framework and also award CHC funding. So be aware at all times that what you’re told about local protocol may simply be an attempt by the NHS to avoid following the proper process. The CCG’s website says they have adopted the National Framework Policy Document and there are no Local Protocols in the annex G so we will be stating that our evidence is therefor ‘compliant’ with the Policy they have adopted. We know we are up for a fight and hope we are ready for it. You are local to us so hope we can help or support your campaign at some time. We are making them aware at every opportunity we can, that where they have not followed the rules, we are aware of the correct procedure and even had to request that her own CMHT Social Worker was invited not the hospital one who has never met her. I’m pretty sure that any 3 month limit is NOT part of the the National Framework for NHS CHC. Could be its part of your CCG’s local protocol as outlined in the Annex G of the National Framework. We tried dozens of times to get our copy ( from Bristol NBT ) but they are either unable or unwilling to supply it. Our best guess is that it exists but does not conform to either the law or national guidelines. Thanks Martin. They haven’t made a good impression so far! Didn’t invite us to checklist just did it but we found out and no guidance as to process, we had found out ourselves but chased them to prove a point. Will ask for the Local Protocol and see if that gets us anywhere! I’ve written it all in my Domain input anyway with evidence so by default they will read it. We are currently preparing evidence for a full assessment in two weeks time. Today we were informed by the person chairing the meeting that only evidence relating to the past three months is admissible. Is this correct? surely if a longstanding health/mental health problem is responsible or major contribution to the current health of a person, this should be considered. One of the words used most frequently in the National Framework is “relevant”. If we put aside for the moment many people’s doubts about the legality of the actual Framework itself, and look at what the Framework says, it doesn’t mention a 3-month cut-off date for evidence. Instead it reinforces that ALL relevant evidence must be reviewed, including the ‘totality of relevant needs’, ‘all relevant health and social care records’, ‘relevant and up-to-date information’, ‘all the relevant information’, and ‘relevant evidence’ from ‘all relevant people’. So the 3-month thing is unfounded. Sadly, I have also heard assessors talk about looking only at 7 day’s evidence. Make sure all relevant information is included – regardless of whether it more than 3 months old. My mother’s assessment (CHC refused) was only based on 6 weeks, hence two needs (which had been well managed and therefore had not caused a ‘problem’) were totally ignored. This is just one point I have made in a 14 point letter stating that the process followed was flawed and demanding a new assessment. The legal status of CHC assessments may well be true but is a difficult hand to play when faced with the stress of an assessment of a sick relative with staff who are not clear on the rules of the game however well trained they may be. In addition they will still be the people caring for your relative when you have left. In my experiance getting knowledge of the risk assessment criteria suggested e.g MUST,FRASE, SALT etc was vital to gaining CHC funding. The arguement then becomes at least partially quantitative rather than just opinions (and of course medical “opinion” carries more weight). I believe that checking these data on every visit and understanding how they vary and can interact means that you can make a meaningfull case based on numbers rather than opinion. If CHC funding is granted then also make sure these tools are kept up to date in the care home etc in preparation for any review. Those are good points, Ian, and regularly checking the care notes, charts and risk assessments at a care home is vital. Mark, Its great to hear another person who obviously cares as passionately about this as Angela and has some real knowledge they are able to pass on. Can you work with Angela to point us lesser mortals towards the information that will help us to break the unlawful processes you describe? Unfortunately, we are unable to access the free care unless we jump the hoops currently put there by the people holding the NHS purse strings. The following extract from the NHS’s own e.learning tool may be of assistance when attending a CHC assessment. MY advice would be to print it out and pass to the lead assessor requesting that he/she reads and understands and signs before the assessment is started. to undertake this training or any other which informs them of their legal obligations as regards to the “Standing Rules Regulations” detailed below. and by Directions (for LAs) which carry the force of law. NHS assessors are often entirely ignorant of the law, and are unaware that the legality of the National Framework has come into question. Mark, would you like to post some links to the law lords rulings? Thanks for your reply Angela, and for posting my comment. I still object to the participating in the assessment because that lends it credence. What really needs to be emphasised until the panel really understand it, is that the process is unlawful. Law lords have ruled in publicly available record. Yet my CHC panel hadn’t heard of any of it. The NHS is duping it’s own employees, and as you say on that linked article, are personally libelling themselves. I had a letter from a chief exec of my LHB stating that my mums nursing needs were insufficient for her to qualify! The person is obviously ignorant of the law, yet feels confident enough to libel himself in writing. Why encourage people to participate in a charade that avoid the point in hand: free health care is dependant upon a medical need, which in law is care needed as a result of illness, disease or injury. There are many successful test case precedence to support this, and until the law is changed, the MHS have to comply. It doesn’t matter what the unlawful framework says. My mum has vascular dementia and is now suffering with seizures, she is in full time care home, £735 a week and up till now its been paid from the sale of mums property, she has only been in the home for 18months. Mum needs constant care as is unable to do anything for herself. I was wondering why my local council don’t tell anybody about the continuing care and help. Look forward to hearing from you. Thanks. It seems ‘normal’ for the NHS and for local authorities to omit to tell people about Continuing Healthcare. Some NHS teams say they just routinely provide the weekly Funded Nursing Care payment instead of assessing properly for Continuing Healthcare – which is of course completely wrong. And, as we know, local authorities routinely ask about money first, leaving most families with the false impression that everything is means tested, regardless of health needs. Mark, I am currently trying to get CHC for mum. Hospital staff are repeatedly saying that you only get CHC if you need qualified nurses to care for you. This is not true. There was a case involving someone called Poynton who qualified, even though it was his wife, unqualified, who was caring for him. You’re right, Jill. The qualifications of the carer are not relevant – they don’t have to be nurses or be specialists at all. It’s about health needs. Similarly, it doesn’t matter where you are, i.e. at home, in a residential home, or elsewhere. You don’t have to be in a nursing home. Ask to speak to a discharge planner as the nurses said the same to us. But once we refused the discharge on the basis of having an assessment done first, and we requested to speak to the discharge planning team, the funding was awarded in a week. CHC assessments are unlawful. Amassing evidence of any kind is participating in an unlawful exercise. Medical professionals in the NHS laughingly distort medical evidence, but they really needn’t. To qualify for CHC funding you need to need full time professional nursing care (as opposed to ancillary care also provided to people suffering from illness, disease or injury), which is of course contrary to the law. I don’t know what you’re trying to achieve by pandering to the unlawful practices of the NHS. Please stop. If what you say is true Mark, then why do many people who do not require 24 hour, full time professional nursing care, qualify for CHC funding? Surely people who required such care would need to be either in a hospice or hospital.